Discussions around graduate migration have tended to focus on the brain drain to London. But our recent research on Manchester shows that the story is much more nuanced, with the city being the second most common destination after London. So what explains this? 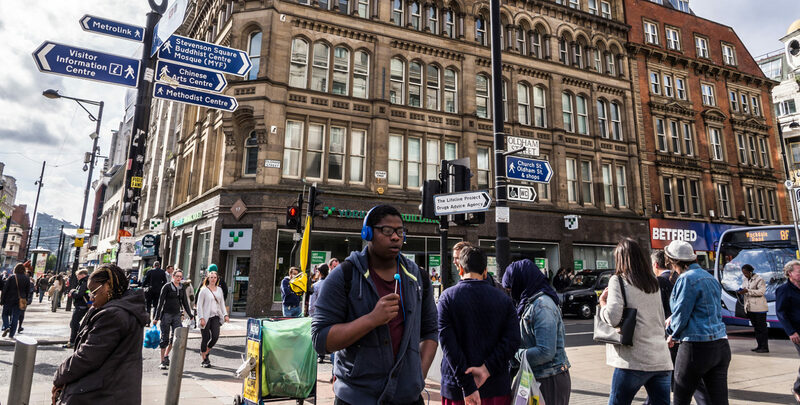 There are two main components of the new graduate workforce in Manchester: students who choose to stay and work in the city after graduation, and graduates from universities in other cities. The first component is substantial because Manchester has the second highest graduate retention rate of any UK city: 51.5 per cent of students who study in Manchester stay after graduation, which was second only to London. Breaking this down shows that a third of the new graduate workforce was made up of Mancunians who stayed in the city for study and their first job. But a number of students who grew up elsewhere decided to stay on too, with 33 per cent of all those that moved in to study staying in the city to work. And these people made up a fifth of the city’s new graduate workforce between 2013/14 and 2014/15. The other source of graduates is those who weren’t educated in Manchester, but nevertheless, choose to work there. Manchester does well at attracting back graduates who grew up in the city but left to go to university – 57 per cent of graduates who lived in Manchester before going to university returned there to work, the second highest rate of any city after London. It also does well at attracting new graduates who have no prior link to the city – despite having a large new graduate workforce, these people account for a quarter of it. Manchester’s attractiveness to those fresh out of university occurs despite it offering relatively low wages. At £20,900, new graduate wages were the 5th lowest of any UK city. But this is reflective of our findings when looking at all UK cities. The wage on the first rung of the career ladder appears to be less important than the breadth of jobs available and the ability to move up that career ladder. Where Manchester doesn’t do quite so well in comparison to London is its ability to attract and retain higher-achieving new graduates. Around 22 per cent of London’s new graduates have a First or 2:1 from a Russell Group university, compared to 16 per cent in Manchester. Much of this is down to London’s ability to pull in Oxbridge graduates, with 52.5 per cent of Oxbridge graduates who moved cities after graduating moving south to the capital, compared with just 1.4 per cent who headed north to Manchester. While much of the narrative around the movement of new graduates centres on a brain drain to London, Manchester fares very well out of the university cycle. The challenge for the city now is to build on its strong recent performance and not only attract and retain a greater volume of students but also pull in a greater number of the highest achievers through attractive job opportunities.